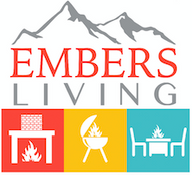 Embers Living has a wide selection of Vermont Castings products that can be the perfect addition to your home. With products ranging from wood stoves to gas stoves and many different styles and types to choose from, including direct vent, rear/top vent, catalytic and non-catalytic, there are many different ways you can add a fireplace to your home with Vermont Castings, many coming at an affordable price. You are sure to get use out of these fireplaces. Check out the selection today and choose your favorite.